Sayed Makuei Lueth, too many lies will never make it right!! 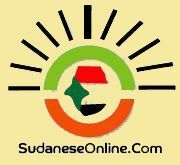 Some critics maliciously criticized me by not generalizing the condemnation of murdering the civilians in different states particularly, in greater upper Nile states, thus, those individuals desperately attempted to question my patriotic and nationalism stands in the new born nation building. In reality, forgetting the root cause of the conflict, that endeavors, is not only pathetic, but naivety to say the least. In a private visit to India in 1990s, former Vice President of then Sudan, and the President of the high executive council of South Sudan region in 1980’s, Justice Abel Alier Kuai in a meeting with a crowds of South Sudanese students in Mumbai, India, during which he was asked by one student about his book entitled: " Too many agreements were dishonored." Your Excellency, why have you failed to mention the names of the Bari tribal chiefs of Equatoria in your book? Bewildered' Mr. Alier Politely responded to the student: “My son, you are fortunate to be an intellectual and highly educated individual; I suggest that you mention their names in the future when you write your own book! 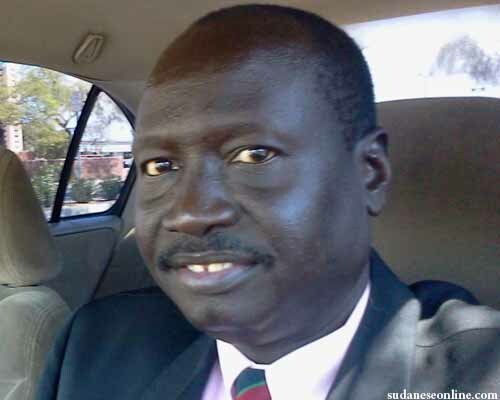 Honestly, I was astonished indeed to have one of Mr. Makuei Lueth like amongst our leaders in South Sudan. I was taken aback while watching him during a press conference in Juba lashing out, cursing and yelling at the journalists and the audience in a way that I have never seen before. The question is: how can we build a nation when our leaders are so divisive and disrespectful to the citizens and the media? Mr. Makuei, Shame on you, and even more so, shame on who imposed you to that position. You have done so much harm and so much disservice to our country. Of course, you're entitling to your own opinion, but not to your own facts! You can not force others to belief that there was an alleged quo attempt without tangible facts to support your argument. A law professor once said: “Is not what you know, is what you can prove in the court room.” The staggering thing is truly unfortunate. How sad? Some intellectuals from the Dinka community still don’t get it! As a Criminologist with a background in criminal laws experience, in any criminal Justice system worldwide, first, its must be proven beyond the reasonable doubt that a crime has been committed. The elements of crime must be presented to make a case. Though, South Sudan judiciary system is not exceptional. The fundamental four elements of the crime must be presented to denounce and demonstrate that some one is guilty of a crime, and they are; “intent, conduct, concurrence, and causation.” Then the prosecution must provide supporting evidence, a defense attorney can challenge the validity of a case. My friends; without one of the above, you don’t have any viable argument, and your case will start falling apart, then, will be dismissed by any Judge period. And that’s what is happening now in alleged quo attempt of Mr. Kiir and his team like Makuei Lueth in threatening the journalists to spread lies about the alleged quo attempt without a single supporting document to their argument. But the propaganda machine did stop there. Kiir's spokesman/press secretary told a slew of Ugandans journalists in Kampala that Dr. Riek Machar has announced in a radio broadcasted in Juba on December 15th, 2013 that; he will dislodge Mr. Kiir’s government on December, 16th the next day. What a joke? Eventually, the definition of treason is: the betrayal of one's own country by waging a war against it or by consciously or purposely acting to aid its enemies. That's the simple definition of treason. According to Chief Hilde Johnson of United Nations in her remarks she stated that; “the perception of alleged quo attempt is wrong, President Kiir plans this war against his own government," she said. Therefore, Mr. Kiir, by initiating and instigating the violence in Juba city to silence his political opponents in SPLM party and killing the innocent Nuer citizens, he commits a Treason crime against the new nation. Did I need to talk about UPDF mercenaries that controlled the operations command centers in Juba, Bor and Malakal with JEM, M23, and SPLA north against gallant Nuer’s warriors? No thanks. The Lord Jesus is in charge. In conclusion, American President Theodore Roosevelt says it best; “to announce that there must be no criticism of the President, or that we are to stand by the President, right or wrong, is not only UNPATRIOTIC and SERVILE, but is morally TREASONABLE in the American public.” he stressed.